The bust is a changed copy of Plutarch of Chaeronea-03.jpg by Odysses. 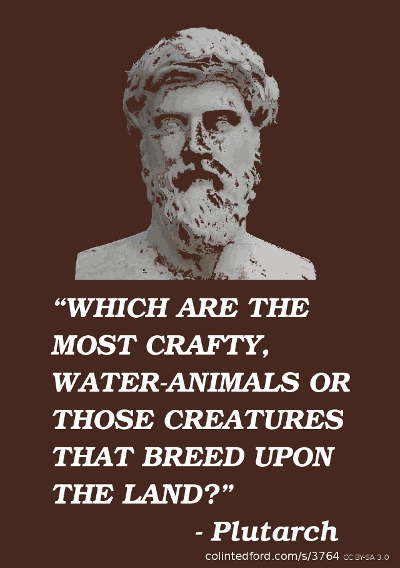 The quote is the name of a section of Plutarch’s Morals vol. 5 . You can copy and change this image but you have to put it under this license: Some rights reserved (CC BY-SA 3.0) and give credit by linking to colintedford.com/s/3764 because of the license on the bust photo. Phew! Related: another gem from Morals.